Deep Tissue Massage, Is It Right for You? Among the myriad of massage therapies out there, one that is mentioned often and not fully understood is Deep Tissue Massage. It is nothing new, in fact massage dates back to ancient Egypt and China. Chinese medicine, historically, has highly valued massage as a restorative therapy for many ailments. They believed that the energy flow through the body could be corrected and restored by removing blockages to this energy with massage, and some experts believe this was deep tissue massage. One of the characteristics of deep tissue massage is the ongoing regular treatments for long term benefits and complete healing from the injuries or illnesses being treated. Interestingly, long term massage treatments are mentioned in the Bible. In the book of Esther chapter 2, it is mentioned that the women underwent 2 separate 6 month periods of routine massage with oils of frankincense and myrrh before being presented to King Xerxes. For a total of 12 months. As you can see, massage is certainly not a fad, but has a long, proven history with benefits beyond mere relaxation. Deep Tissue Massage is often confused with Swedish Massage, Thai Massage as well as Sports Massage. And many of the techniques used are similar, however they are quite different therapies. Specifically, the goal of deep tissue massage is to reach all the layers of tissue, and myofascial layers to release adhesions, assisting the body with blood flow and correcting muscle fiber alignment to allow healing to take place. Deep tissue massage is a much slower paced treatment with progressively more pressure. The pressure can be quite intense, but the slower pace assists with preparing both the tissue, and the client, for the deep pressure. After surgery or when soft tissue sustains injury, there are adhesions, which are essentially scar tissue, that form in the damaged area. These adhesions cause stiffness and pain, reduce mobility, and prevent blood flow. This problem, if ignored can have a domino effect as the surrounding muscles attempt to compensate and this leads to further stiffness and pain, and can lead to additional injuries as the muscles are strained. Deep tissue massage breaks through these adhesions and aligns muscle fibers allowing blood flow and restoring mobility. Because the adhesions are highly likely to reform, it is often recommended by massage therapists to continue treatment over a long period of time. This increases the likelihood of long term positive results and prevention of reinjury. Beyond adhesions, there are often problems stemming from myofascial tissue which is no longer flexible as it should be, contributing to pain, and decreased flexibility. The goal of deep tissue massage is to reach these underlying layers and correct the problem. Many people who suffer from chronic back pain are looking to deep tissue massage for results in an effort to find recovery and long term relief. While more studies are warranted, scientific research already shows the benefits of deep tissue massage. In a study published in 2012 by the Rheumatological Center, deep tissue massage was shown to be a successful therapy for chronic low back pain sufferers. Pain reduction is one of the primary reasons people turn to deep tissue massage. And for good reason. According to the AMTA Survey in 2017 89% of people surveyed attested to the positive results in pain reduction with massage therapy. Increased mobility is arguably one of the best outcomes received from deep tissue massage. The realignment of the muscle fibers and loosening of scar tissue brings great relief to clients, giving them pain free movement and flexibility. Long term relief of chronic pain from conditions such as plantar fasciitis, fibromyalgia and arthritis among many others, is shown to be experienced by clients who continue with the recommended number of treatments by their massage therapist. Can lessen the need for prescription drugs. In a study published by the Scientific World Journal in 2014, deep tissue massage had the same positive pain reducing effect as a solo treatment that it did when taken with NSAID anti-inflammatory drugs. Thus showing the non-steroid anti-inflammatory drugs as having virtually no effect. Better overall sleep quality is reported as a benefit by many who utilize deep tissue massage therapy on a regular basis. Because decreasing pain, lowering the heart rate and inducing relaxation makes quality sleep much more attainable. Injury prevention benefits everyone, not just athletes. The realignment of muscle fibers and flexibility gained from deep tissue massage therapy translates to less muscle related injuries, and lowers the risk of re-injury. Detoxing the system is a natural result of massage therapy due to lymphatic system drainage. The body is able to more efficiently move toxins out of the system and thus improving overall health. Stress relief and relaxation is without a doubt a major benefit. This is due to the release of oxytocin and serotonin, the “feel good” hormones, in the body during massage. And decreasing the levels of cortisol, the “stress” hormone. Correcting the balance of these hormones contributes to decreased stress and overall feelings of well being. Generally speaking there is little risk of negative effects. Usually, the only problems reported after deep tissue massage are soreness and sometimes bruising. Muscle soreness, of course, is due to manipulating the connective tissues on such a deep level. Bruising is not as common and can be reduced by modifying techniques as needed for client sensitivity. As with any therapy, there can be rare cases of other side effects, and it is always good practice to communicate any concerns with your masseuse, therapist or doctor. A quality massage therapist will get your medical history before beginning deep tissue massage in order to screen you for any possible problems before they arise. 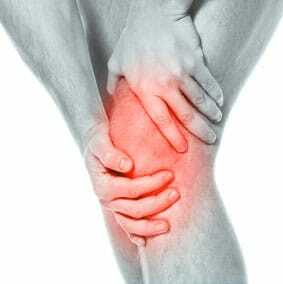 Those suffering from disorders with high levels of inflammation such as Arthritis. Pregnant women have also been shown to benefit greatly. Those suffering from PTSD, Anxiety and Depression. Those with high stress jobs, and jobs requiring a lot of clerical work. This can vary depending on the problem that you are treating with deep tissue massage. It is the therapeutic nature of deep tissue massage that makes continued regular treatment important. It is not uncommon to need repeat treatments weekly when dealing with chronic issues. The number of treatments may be reduced as improvement continues, however long term treatment is usually best with deep tissue massage. And it is extremely important to overall success and healing that you follow your massage therapists recommendations on treatment frequency in order to achieve full recovery. When it comes to knee pain, it can be very surprising to some to discover that deep tissue massage can be the answer they are looking for. And with the techniques employed therapists are able to release tension and realign the tissues and tendons helping to prevent injuries. Surprisingly, there is often a lot of stress related tension stored in the knees and many clients are often taken aback at how relaxed they feel after knee massage in addition to pain relief and flexibility. Shoulder pain is a clear candidate for treatment by deep tissue massage. Weather from stress, or injury, shoulder pain can quickly turn into a bigger problem when it causes you to compensate in movements and posture, leading to more pain or damage. Deep tissue massage of the shoulders has extreme relaxation benefits as well and can even assist in eliminating headaches. When a nerve becomes trapped and inflamed, the pain can seem unbearable. Many people wrongly assume that little can be done for nerve pain. However, the rigid tissue and fibers surrounding it and preventing relief can be loosened and relaxed by deep tissue massage. Enabling the realignment of all of the surrounding tissue and bone and removing the pressure from the nerve. There is a significantly higher amount of pressure often needed for effective deep tissue massage, but don’t let that scare you. Pressure doesn’t have to equal pain. With the right masseuse or therapist and good communication you will experience relief. There can be some pain as adhesions are being removed, however the slow pace of the massage prepares the muscles and reduces the amount of the pain. This is the reason good communication is vital, so that your masseuse can adjust techniques and pace to give you the best results along with the most comfort. Cross Fiber Friction is a technique where the massage therapist will not use any oils because the purpose here is not to glide easily over the skin. This technique assists in realigning the muscle fibers and breaking adhesions using rapid strokes across the grain of the muscle tissue. Trigger Point Therapy utilizes slow increased pressure on a specific troubled area of muscle in a static position rather than a gliding movement. This releases muscle tissue that is trapped in scar tissue and releases the “knots” that prevent movement and blood flow. Myofascial Release is vital to deep tissue massage, this technique stretches the fascia layer deep beneath the muscle tissue releasing the restrictions which immobilize the tissue improving flexibility while aiding in tissue alignment and restoration. Other techniques such as stripping, may be used by your therapist depending on your specific needs. They may also modify the above techniques and use tools and bolsters to assist with proper alignment in order to achieve the best results for your specific condition. Can I give a Deep Tissue Massage? While it is possible learn basic techniques for massage, including deep tissue massage, in order to offer relief for a loved one. It is highly recommended that deep tissue massage for treating of chronic issues be done only by a professional. There are some techniques, such as trigger point therapy, that can be used to assist a loved one with a particularly troublesome “knot” in a muscle and give them some relief. But generally speaking deep tissue massage requires a more intense pressure and the potential for causing harm inadvertently is higher. It can seem confusing to try and find the best massage therapist, but it’s not as hard as you might think. With the many options available today in this growing profession, it has never been easier to book a massage by simply doing a quick online search using your postal code. And with massage therapy being available in beautiful spa centers, massage parlors, and even mobile massage services, this means that you do not have to continue to suffer or risk further damage to your muscles from ignoring the pain. Relief and healing can be worked into even the busiest schedule. In fact, mobile massage services are gaining in popularity due to more than just convenience. There are mobile massage therapists who offer this service so that after massage therapy, their clients are able to rest and not be forced to drive, or walk home, giving the massage more effectiveness. It is important to find out where your masseuse received training and to ensure quality training particular to deep tissue massage. Certainly look for training that was provided by a trusted institution and ITEC qualified is preferable. When it comes to deep tissue massage, the risks are low and the benefits are high, very high. The research is clear and the accessibility of massage therapy is like never before. Not only does pain relief begin right away, you just might save yourself from additional pain and suffering.